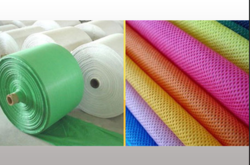 Capable and deft as under the direction of our highly adroit and nimble staff of professionals, we have been able to deliver with a class range of HDPE Woven Laminated Fabric. Our offered range is very well suited and can be procured for a very genuine script rate. We have its availaibity in 400D 500D with different width sizes available such as 52", 58" etc. It is widely used for packaging purpose. 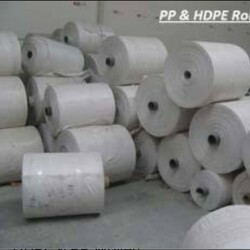 From our wide range of products, we are offering an excellent quality HDPE Woven Fabric Roll that are highly in the market. Additionally, our esteemed clients can avail these woven fabrics from us at nominal price. Width: 35-36", 58-60", 72", 108", 44-45"